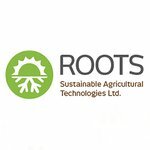 Roots Sustainable Agricultural Technologies (ASX:ROO) is developing and commercialising innovative tech solutions that address critical agricultural challenges and recent news makes for an excellent example of this. ROO has released results from a successful pilot on romaine lettuce using its proprietary Root Zone Temperature Optimisation (RZTO) cooling technology, showing a 132% increase in lettuce leaf weight, with a significantly reduced growing cycle. The pilot tested RZTO’s ability to keep the plants at a cool 24°C during the scorching Israeli summer, despite air temperatures in the greenhouse regularly topping 34°C. Results show that the cooled lettuce plants had an average fresh weight of 502g, compared to an average 216g for non-cooled plants. What’s more, that market weight was achieved in only 27 days — a substantially shorter growing time compared to seed manufacturer data showing that a normal growing cycle takes between 30 to 50 days. For readers who are new to this ag-tech growth story, ROO is creating disruptive, modular, cutting-edge technologies to solve major problems in modern agriculture, including plant climate management and the shortage of water for irrigation. Its unique RZTO technology optimises plant physiology for increased growth, productivity and quality by stabilising the plant’s root zone temperature. So far, the RZTO cooling system has been effective in stabilising the plant roots of medical cannabis, chives and lettuce grown in the ground and in hydroponic greenhouses. ROO is the only company in the world with commercial root zone cooling technology in its arsenal — something that gives this Israel-born innovator a distinctive edge in the increasingly crowded ag-tech space. These results highlight the many benefits of root zone cooling in modern farming, including enhanced plant growth, improved quality, shorter growing cycles, greater growth uniformity, not to mention energy savings compared with traditional air based greenhouse cooling systems. All in all, this is high-impact work from one ASX small-cap. However, it should be noted that ROO is an early stage play and anything can happen, so seek professional financial advice if considering this stock for your portfolio. That’s not all that’s happening on ROO’s watch. The company has today confirmed that it has received its first commercial order in South Korea for two RZTO systems, which will be used with TapKit. TapKit is a Nutrient Film Technology (NFT) developed by leading Israeli hydroponic greenhouse builder and tech integrator, Teshuva Agricultural Projects (TAP). The A$22,500 order follows a successful Tapkit demonstration project in Israel earlier this year, which saw ROO’s RZTO used in collaboration with TAP’s NFT technologies to cool the nutrient temperature of hydroponically grown lettuce during a pilot at a commercial farm. This order comes on the heels of a non-exclusive distribution agreement clinched in August with leading Korean ag-tech distributor, Ezfarm, and is expected to be the first of many larger orders. When combined, NFT and RZTO technologies together enable farmers to stabilise nutrient temperatures, increasing yields and profits through more efficient crop growing conditions. This is especially ideal for farmers in South Korea, who deal with challenging conditions of cold, dry winters and hot, humid summers. With South Korea, ROO is taking on its sixth key territory as part of its global market strategy and hopes to expand its South Korean footprint in the coming months. These direct farming community benefits, meanwhile, hinge on something else that clearly differentiates ROO from the ag-tech pack — its ability to provide sustainable solutions to real-world agricultural issues. The global ‘smart’ agriculture market is expected to grow from some US$13.74 billion in 2015 to US$26.76 billion by 2020 — so ROO’s ag-tech innovations could be beneficial for investors as well as farmers. As it smashes milestone after milestone, with much more to come in the pipeline, ROO is rapidly coming into its own. The nimble ag-tech stock is currently valued by the market at a tiny $17.3 million, with plenty of room to blossom. We last caught up with Roots Sustainable Agriculture Technologies (ASX:ROO) a month ago with the article, ‘ROO Plants Seeds for Rapid Growth with Pot Proof-of-Concept’. At that time, ROO had just released impressive interim results for its world-first proof-of-concept to cool medical cannabis roots grown in a greenhouse in northern Israel — part of its partnership with Canndoc Limited, one of Israel’s leading medical cannabis growers. Those results showed a more than 25% vegetative growth increase on cooled root zone cannabis plants compared with uncooled control plants — therefore looking to offer considerable value to farmers in the medicinal cannabis space. As we mentioned earlier, that’s a recurring theme for ROO — its commitment to addressing genuine problems faced by the agricultural community with its disruptive tech arsenal. The budding medicinal cannabis space is a lucrative market for ROO — expected to be worth up to $31 billion globally over the next four years. As we’ve mentioned, ROO’s successful pilot on romaine lettuce show a 132% increase in lettuce leaf fresh weight compared with control plants, using RZTO cooling technology. The lettuce growing cycle was also reduced by almost half, with the crop ready for harvesting in only 27 days. This latest study complements the pilot unveiled in July, which saw ROO’s technology used in conjunction with TAP’s to cool the nutrient temperature of hydroponically grown lettuce. These results are consistent with previous open field lettuce cooling experiments. 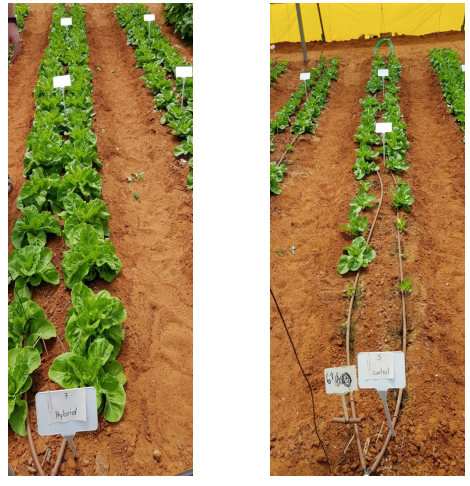 This most recent romaine lettuce pilot was conducted during the Israeli summer over 27° days between July and August at ROO’s research site in central Israel. Using the hybrid ground source heat exchange version of the RZTO system, lettuce roots were cooled to remain relatively stable around 24°C, despite air temperatures in the greenhouse regularly topping 34°C. In contrast, roots of control plantings fluctuated between 28°C and 34°C. 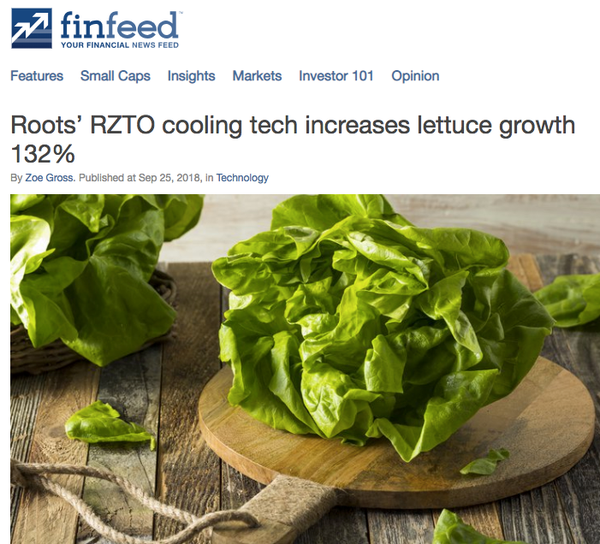 The RZTO system is able to keep lettuce roots cool despite higher temperatures. Cooled lettuce plants had an average fresh weight of 502g, compared to an average weight of 216g for non-cooled plants. On top of that, marketing weight was achieved in 27 days — a significantly shorter growing period compared to seed manufacturer claims that a normal growing cycle ranges between 30 and 50 days. ROO is making good on its promise to increase yield size. Cooling the roots of lettuce plants in summer not only substantially increases crop yield, but also reduces the growing cycle duration and increases yield uniformity. Combined, these kinds of advantages could help farmers plan for increased annual crop production, enabling increased income. It’s also worth mentioning the versatility of these RZTO systems — they can be used to cool the roots of crops in open fields, grow bags, in soil, and hydroponically. As we touched on earlier, ROO has scored its first commercial order in South Korea for two RZTO systems, which will be used with Tapkit, an NFT technology developed by TAP. The order, which is valued at A$22,500 in two instalments, comes less than a month after ROO clinched a non-exclusive reseller agreement with Ezfarm, which we wrote about in our last update. South Korea represents the sixth key global market for commercialisation of ROO’s cutting-edge technologies. This follows on from a successful TapKit collaborative demonstration project between the duo in Israel earlier this year, where the combined NFT and RZTO technologies cooled the nutrient temperature of hydroponic lettuce during a pilot at a commercial farm. Despite ambient air temperatures in the greenhouse of nearly 40C, the bare plant roots immersed at the nutrient fluid remained within favourable growing ranges more than 11C lower. This increased production quality and shortened the growing cycle by about 20% compared to NFT greenhouses, where no nutrient temperature control is used. This tech combo, moreover, allows farmers to stabilise nutrient temperatures, increasing yields and profits through more efficient crop growing conditions. This is especially important for farmers in South Korea, who face challenging extremes of cold, dry winters and hot, humid summers. Winters are too cold for normal agricultural growth, even in greenhouses. Summer temperatures, meanwhile, are often so hot that farmers aren’t able to grow high-quality leaves or vegetables in most parts of the country. Until now, the only option Korean farmers had to reduce heat in greenhouses was to use large evaporative cooling systems with several fans. These, however, are expensive to buy and operate, use large amounts of energy, and increase humidity levels within the greenhouse, which in turn increase plant disease levels. RZTO cooling systems focus on retaining core temperatures at the root zone – not in the ambient air. Cooling the NFT nutrient solution utilises ground source heat exchange, which uses minimal energy — making this a sustainable, cost-effective solution for the Korean farming community. The Korean agricultural ecosystem is an especially salient opportunity for ROO, given the rise in specialist greenhouse crops, extreme weather conditions and small family-run farms. All up, this first order makes for a substantial milestone. While small, ROO thinks this is just the first of many larger orders to come, given the ample interest shown by Korean farming groups, and bearing in mind that the technology is now available locally. ROO is also hoping to expand its South Korean footprint in the coming months. During the last month, ROO has been granted a divisional patent for its disruptive Irrigation by Condensation (IBC) technology in India. This patent secures Roots’ IP in one of the largest potential markets for IBC, and makes for a critical step as the company moves towards commercialisation of its technology. ROO’s IBC system was specifically designed to enable small and medium-scale farmers to grow entire food crops using irrigation sourced only from humidity in the air, even in remote, semi-arid areas. These solar-operated and electric-driven IBC systems have successfully completed proofs-of-concept for crops as diverse as wheat, beans, tomatoes, spinach and lettuce from seedlings at ROO’s research facility in Israel. More than 75% of India’s fresh water is currently used for agriculture at a time when around 600 million people are facing a severe water shortage. With its ability to assist in growing entire food crops using irrigation sourced only from humidity in the air, even in remote semi-arid areas, IBC could be the perfect solution for farmers in India, where erratic rainfall and water scarcity have affected food production. To capitalise on the patent and address the urgent need in India, ROO is developing a range of additional solar-operated and electric versions of its IBC systems, tailored specifically for small holder units of up to a quarter acre, as well as mid-size systems for larger plots. Given the additional problems associated with shortages of water for human consumption, there could also be support for the introduction of IBC from government or humanitarian organisations. Through its IBC technology, ROO could help create or dramatically increase crop production for animal and human consumption in areas that often experience water scarcity. This is an ag-tech company that could provide food security and income to many farmers — not just in India, but on a global level. The (sustainably grown) cherry on top of all of this flourishing activity has been the Israeli government’s approval of a 30% subsidy to basil farmers who use ROO’s RZTO technology. The subsidy was granted under the Precision Ag Program — a collaboration between the Israel Ministry of Agriculture and the Ministry of Finance, which is investing A$17.6 million in innovative ag-tech and machinery through until the end of 2019. The Israel Ministry of Agriculture and Rural Development approved the subsidy following ROO’s successful pilot in winter, where the roots of basil — traditionally a summer plant — were heated using RZTO technology (we wrote about this pilot earlier this year). The heated plants increased yield and average plant size by 65% and 35% respectively. The basil pilot was subjected to comprehensive analysis, involving economists, agronomists and engineers who examined the 65% yield increase, ROI, energy savings and increased profit potential for farmers. This makes for another green tick for ROO, with clear validation coming in the form of independent government expert verification of the multiple benefits and economic value RZTO offers to farmers. ROO also expects the subsidy will increase commercial opportunities with Israel’s basil growers, and is looking into similar subsidy and funding programs with governments in other jurisdictions to assist farmers in optimising crop and yield efficiency. Of course, what comes of any subsidies is yet to be determined, so any decision with regards to adding this stock to your portfolio should be taken with caution and professional financial advice sought. We’ve known for a while now that the ag-tech space is a fertile one. More than US$700 million was invested in ag-tech companies in 2017, on track to beat the previous two years combined, according to research firm CB Insights. Sitting at the forefront of this rich ag-tech harvest is ROO – a tiny $17.3 million-capped ASX stock that’s in the throes of commercialising its two finely honed technologies that could have genuinely positive impacts on the farming community. Given all it’s been up to in a fairly short space of time, and the kinds of impressive results it’s been getting with multiple successful proofs-of-concepts and pilots, ROO is rapidly maturing ... and it may not be long before this ASX ag-tech’s small-cap days are but a distant memory.